An agenda item on this evening's meeting of the Watauga County Commission was a recommendation that Matt Snyder be allowed to start paid work as the new executive director of the Watauga County Board of Elections two weeks in advance of his actual appointment. To recap, Matt Snyder is the former Republican Party Chair who got the job of running Watauga elections without a competitive job search or even an open call for applications. It came out that Mr. Snyder is being paid $48,000 per annum for the job. 1. The $48,000 salary figure had been a "place-holder" in the annual county budget projections, a place-holder which became fact after that budget was voted on by the Commission. 2. Mr. Snyder had actually demanded a salary of $55,000, but he sent that request not to the Board of Elections which hired him but to the County Commission, which did not hire him. 3. 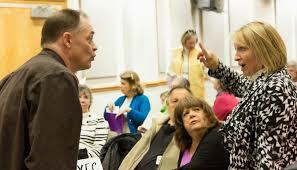 It is required by law that the Board of Elections consider and decide Mr. Snyder's salary, not the County Commission. The BOE is then supposed to make a recommendation to the Commissioners. None of that happened. 4. What happened is that Mr. Luke Eggers, chair of the Board of Elections, simply set Mr. Snyder's salary unilaterally, bypassing his own Board, and further requested the two-week "running start" to that salary, also bypassing his own Board. 5. People speaking about this during the Public Comment section of tonight's agenda, including Kathleen Campbell, the Democratic member of the Board of Elections, who testified that no Board meeting was ever held to consider Mr. Snyder's salary, were essentially addressing their objections to the legality of those proceedings to Mr. Austin Eggers, sitting in as County Attorney. Austin Eggers is close kinfolk of Mr. Luke Eggers. 6. 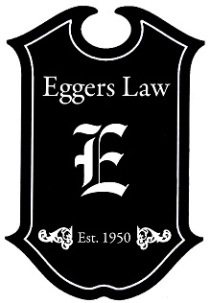 The Eggers Eggers Eggers & Eggers law firm seems to have cornered operational conflicts of interest in pretty much the Western World. This guy is as incompetent as the come. They wanted Mrs. Hodges to stay on and "train" him. I say let him fall flat on his face. He has no idea what he's doing.